The “triple screen,” “quadruple screen,” “first trimester combined screen,” “integrated screen,” and “contingency screen” are all different types of prenatal screening tests that involve, to varying degrees, bloodwork and ultrasound findings. These screening tests provide you a risk assessment, not a diagnosis, and the results should be communicated as such. In other words, you should not be told that your child is “positive” or “negative” for Down syndrome. Instead, the results indicate the probability (or degree of chance) that your child will have Down syndrome. For example, you might be told that your child has a 1 in 300 chance of having Down syndrome. It is important to realize that different people can interpret probabilities in very different ways. Current Down syndrome prenatal screening results are anywhere from 65 to 95 percent accurate depending on the exact test. A non-invasive prenatal screen that measures cell free DNA is now commercially available. It is a blood test that can be performed as early as 10 weeks gestation and allows for quantifying the amount of placental DNA in maternal blood. The results are delivered as a positive/high risk or negative/low risk, but confirmation requires further testing in the form of CVS or amniocentesis. It is important to understand that while these tests are reported to detect >99% of cases of Down syndrome, they are NOT 99% accurate. A positive or high risk result indicates an increased chance for a expectant mother to have a child with Down syndrome. The actual chance for Down syndrome (PPV: Positive Predictive Value) is dependent on maternal age, timing during the pregnancy, family history and ultrasound findings. A negative or low risk result indiciates the pregnancy is unlikely to have Down syndrome. If expectant mothers wish to confirm these results, healthcare providers recommend that expectant mothers proceed with diagnostic testing such as chorionic villus sampling (CVS) or amniocentesis. As always, genetic counseling is recommended to discuss all screening and testing options. Determining with virtual certainty that your child has Down syndrome requires an invasive test, where a needle is inserted into the pregnant abdomen. Usually administered after the 15th week of pregnancy, an “amniocentesis” analyzes a uterine fluid sample, which contains fetal cells. The chromosomes of these cells can be tested to determine whether Down syndrome is present. Administered usually 10 to 14 weeks into the pregnancy, “chorionic villus sampling” or “CVS” analyzes fetal cells like in an amniocentesis, but using placental not uterine fluid. Both these tests carry a small risk of miscarriage. If you have received prenatal tests that suggest or confirm Down syndrome, remember that the MDSC is here for you – with accurate, up-to-date information and the opportunity to speak with a parent mentor through our Parents First Call Program. See below for details. For expectant parents of children with Down syndrome, any opportunity to speak with other parents who have experienced what you are experiencing can be invaluable. The MDSC’s Parents First Call Program is a volunteer, state-wide group of trained parent mentors available 24/7 to listen, share, answer questions, and provide valuable information. If you would like to speak with a First Call parent who also received a prenatal diagnosis, please call 800-664-MDSC (6372) or e-mail scullen@mdsc.org. 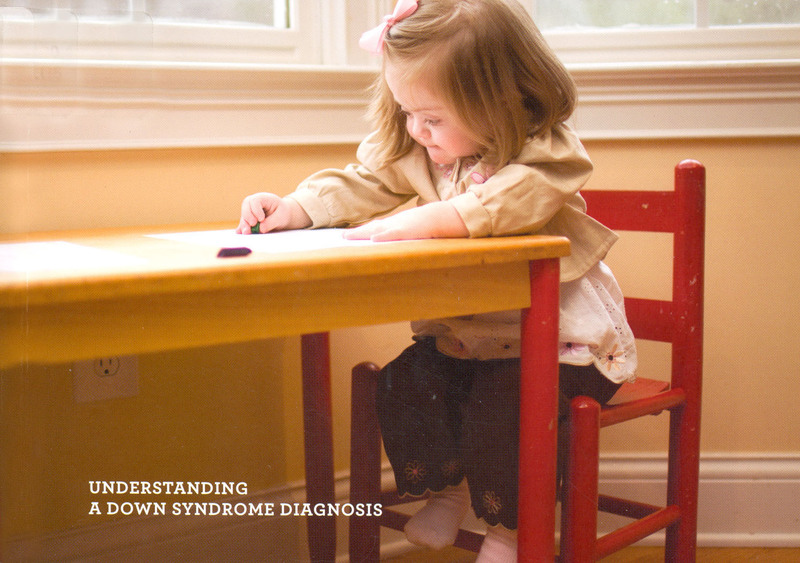 The 2011 edition of “Understanding a Down Syndrome Diagnosis” contains the latest medical and developmental information about people with Down syndrome as well as local and national resources, pregnancy options and helpful visuals and graphics. This booklet has been reviewed by all the major medical organizations involved in expectant mothers’ health. To request a copy of this booklet, call 800-664-MDSC (6372) or e-mail scullen@mdsc.org. You may also download a digital copy here. Visit our national affiliate, the National Down Syndrome Congress (NDSC), for a wealth of information for expectant parents. A free, downloadable book for expectant parents who have made the decision to continue their pregnancy, Diagnosis to Delivery: A Pregnant Mother’s Guide to Down Syndrome, is available at www.downsyndromepregnancy.org. Includes strategies for coping with a Down syndrome diagnosis, medical guidelines for the first year, and support resources. Gifts: Mothers Reflect on How Children with Down Syndrome Enrich Their Lives, edited by Kathryn Lynard Soper. The MDSC has donated copies of Gifts to each public library in Masssachusetts for easy access by expectant and new families. Books donated by the MDSC, are found in every library in Massachusetts. The NDSC has a recommended reading list as well. Woodbine House Publishers specialize in books on a variety of developmental disabilities, including Down syndrome. We understand that not all birth families feel they are able to meet the needs of children with Down syndrome. The National Down Syndrome Adoption Network provides information to birth families who may be seeking alternatives to parenting as they prepare for the arrival of their child. The network currently has over 200 registered families, each waiting to adopt a baby with Down syndrome. Massachusetts General Hospital now offers a comprehensive Down Syndrome Program with four distinct clinics to provide care for patients throughout the lifespan. This includes an Adult Clinic (ages 21 and older), Infant and Toddler Clinic (ages birth-5), Child Clinic (ages 5-13), Adolescent and Young Adult Clinic (ages 13-21). The program can also provide consultations in a private setting for expectant parents who have received a prenatal diagnosis of Down syndrome. Call the program at 617-643-8912 for an appointment or visit the link above for complete information. Children’s Hospital’s Down Syndrome Program has been an international leader in the field for decades, offering multidisciplinary clinical evaluations for people with Down syndrome from birth until the age of 18. With each appointment, they are also able to make referrals and connections with any of the other specialty clinics at Boston Children's Hospital. The program is also a an excellent source of information that offers prenatal appointments. Call the program at (857) 218-4329 to set up a meeting with a developmental pediatrician or visit the link above for complete information. Go here for a complete list of area Down syndrome clinics and programs.